Hammond School will be hosting a TEDx conference this coming spring. Follow us on Twitter or Facebook to stay informed of details about this exciting event. Mindy Jamison has more than 20 years experience working with churches, agencies and communities, focused on generational poverty. Her expertise is found in assisting churches and organizations in re-visioning how they connect, in healthy ways, with their poverty impacted community. 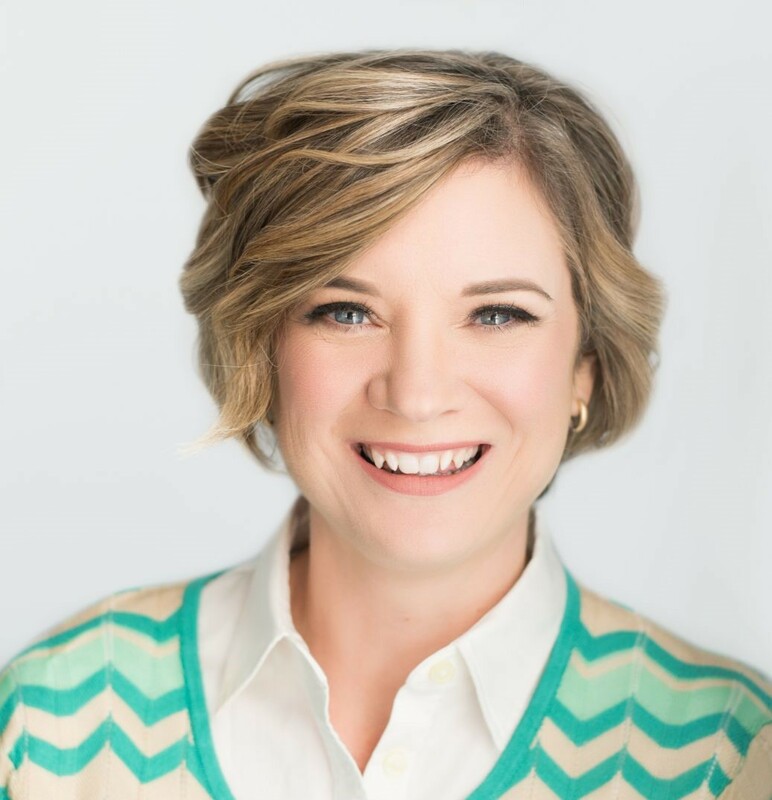 Currently, Mindy is on staff at Shandon Baptist Church, leading their benevolence and poverty focused ministries Mindy graduated from Carson-Newman College and New Orleans Baptist Theological Seminary. She is married with one child. Santiago Azpurua-Borras was born in Caraca, Venenzuela. At age 6 he moved to the United States where he spent his childhood and adolescence traveling between the two countries. He attended Middlebury College where he studied Spanish, Psychology and Education. He later completed his Master's Degree in Madrid, Spain where he received his degree in Spanish with a focus on Pedagogical Methods. After Madrid, he moved on down to Columbia, SC to Hammond School where when he's not teaching his native language he partakes in many hobbies such as costuming, weightlifting, scuba diving and playing many kinds of games. Benjamin Beaver is currently a Spanish teacher at Hammond School. Born and raised in South Carolina, he attended Clemson University, graduating in 2006 with a Bachelor of Arts in Spanish. During his time at Clemson, he spent a semester studying abroad at the Pontificia Universidad Catolica in Santiago, Chile. 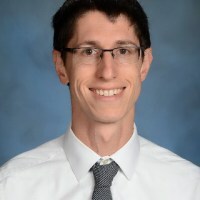 He started teaching in 2007, having since taught Spanish, English, and Linguistics at high schools and colleges around the state. In 2010, he received his Master of Arts in Spanish Language and Culture from the University of Salamanca in Spain. He earned his Certificate of Teaching English to Speakers of Other Languages from the University of South Carolina in 2013. While at USC, he also took many other classes in Linguistics, focusing on Historical Linguistics and Second Language Acquisition, presenting some of his research at the national and international conferences. He now lives in Columbia with his wife Tiffany, daughter, Teagan, and cat Elphaba. Their second daughter, Sage, will be born around the end of May. When he's not geeking out about language, he enjoys cooking, reading, and sipping his morning coffee. Piper Meeker has been a Hammond student for the last fourteen years. In addition to school, she volunteers at Riverbanks Zoo and Gardens as a Zooteen where she provides public education on animal conservation and environmental issues. Piper is currently conducting research on the effect of consumer demand of products containing conflict minerals. This research is a part of Hammond's Public Policy and Social Change Program (PPSC). Piper will be attending Anderson University next fall, at which she plans on studying biology. Lottie Folline has attended Hammond School since Kindergarten. She has been an active Hammond student in both the athletics and extracurriculars. 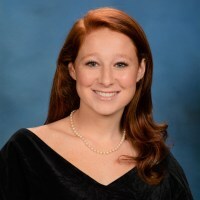 Her main involvements have primarily been serving on the Honor Council, Headmaster's Leadership Council, Dance Marathon, and Public Policy and Social Change Program as well as playing tennis and soccer. Lottie has participated in Hammond's Dance Marathon each year which raises money for Columbia's local children's hospital, Palmetto Health. After leading and coordinating the event this past year, Lottie became aware of the lack of federal funding for pediatric cancer research and hopes to raise awareness surrounding this issue as cancer affects the lives of so many ones we love. Jada Carlynn Rodgers was born on April 21, 2001 in Hinesville, Georgia, where she lived until the end of her 8th grade year. She was raised by Joseph and Jeraline Rodgers and is the youngest of two children. She is currently 17 years old and is a Senior at Hammond School, which she has been attending since the 9th grade. She is involved in many different extracurricular activities, but her favorite ones being the ones that involve community service. She volunteers usually twice a month on Saturdays where she is either serving breakast to the homeless at a local church, sorting through donations at God's Storehouse, or playing bingo with residents at C.M. Tucker Nursing Care Center. She has also participated in multiple international volunteer opportunities, such as restoring a previously flooded area and helping remodel a church in Costa Rica in the years 2012 and 2018, volunteering at an orphanage in Honduras in 2014, and going on a mission trip to World Hope Academy and Church in Nairobi, Kenya in 2018. She is also very involved in church, Saint John Baptist Church, where she sings on the Youth Choir, serves in the Junior Deaconess group, and frequently participates on the church program. She is not sure yet where she wants to attend next fall but knows that she would like to major in Psychology, with hopes of pursuing a career in the Occupational Therapy field. 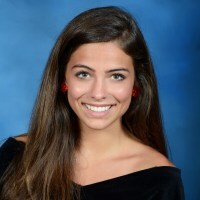 Rosemary Angel is a Senior in the Public Policy and Social Change organization at Hammond School. 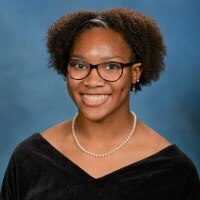 She has attended Hammond since pre-kindergarten, and throughout her time she has participated in competititon & spirit cheerleading, soccer, and track. 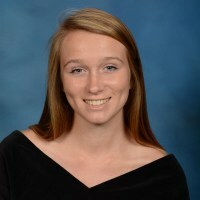 She also is very involved in the arts as she is a member of Select Ensemble, Bel Canto, most theatre productions, and Editor of the Hammond yearbook. Rosemary became aware of issues surrounding human trafficking when her family decided to sponsor a young girl in India who was taken off the streets by the Taralok Foundation. For the past two years she has put in lots of energy grasping an understanding of human-trafficking and the effects it has on the community, here, in Columbia, SC. She hopes to begin to raise awareness and start discussions on the topic, and hopefully continue as she goes to college next year. Ashli Neal was born on March 9, 2001 in Columbia, SC and raised by parents James and Rolanda Neal. She is the youngest of four children, Mark, Shyla and Tre'. Although Ashli began school at the age of two years old, her first memories of community service did not begin until she enrolled in elementary school at Center for Inquiry. She participated in the yearly food drive where they collected and donated food items for Harvest Hope Food Bank. While in elementary school, Ashli participated in ballet, tap, jazz, hip hop, cheerleading and competitive gymnastics. She performed in three professional ballets with Columbia City Ballet which included, The Nutcracker, Beauty and the Beast, and Dracula. Ashli also had an interest in modeling and acting. She was featured on the cover of Palmetto Parents magazine and in a hair magazine. Her short-lived acting career includes a commercial and two movies. After elementary school, she attended Longleaf Middle School where she participated in band, volleyball, basketball, and soccer. As a middle schooler, she was an Honor Roll student and received a band leadership award, highest GPA in basketball, highest grade in all core courses and a gymnast of the year award. She was also inducted into the Junior Beta Club. 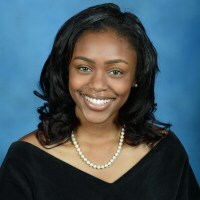 In 2015, her parents enrolled her in Hammond for high school where she continued to thrive in both her academics and extra-curricular activities. She is a member of the National Honor Society, the Headmaster's Leadership Council and the Public Policy and Social Change Program. She also participated in Youth in Goverment, volleyball, basketball, and track and field. She was also selected to attend Palmetto Girls State and the HOBY Leadership Conference. As an active member of her church, she participates in the youth department, the youth choir, and the Junior Usher Board. Ashli will graduate from Hammond School in May and continue her educatoin in the fall at the University of South Carolina in Columbia, SC. She plans to study Experimental Psychology and hopes to continue to volunteer within the community. TED is a nonprofit organization devoted to Ideas Worth Spreading. Started as a four-day conference in California almost 30 years ago, TED has grown to support those world-changing ideas with multiple initiatives. The two annual TED Conferences invite the world's leading thinkers and doers to speak for 18 minutes on a diverse mix of topics. Many of these talks are then made available, free, at TED.com. TED speakers have included Bill Gates, Jane Goodall, Elizabeth Gilbert, Sir Richard Branson, Nandan Nilekani, Philippe Starck, Ngozi Okonjo-Iweala, Isabel Allende and former UK Prime Minister Gordon Brown. The TED2014 Conference will take place in Vancouver, British Columbia, along with the TEDActive simulcast in neighboring Whistler. TEDGlobal 2019 will be held in Vancouver, BC, Canada on April 15-19, 2019. To learn more about TEDx, please visit http://www.ted.com/tedx. Hannah Davis is the 26 year old founder and president of BANGS shoes. BANGS sells fun, funky canvas shoes to change lives, for good. BANGS is closely connected with nonprofit partners whose initiatives focus on sustainable methods of change. Our model invests 20% of net profits into our partners. The brand name BANGS is derived from the Chinese character for the word help, which is spelled b-a-n-g. BANGS shoes themselves were inspired by shoes that caught Hannah's eye while teaching English in China. Unique branding and marketing channels help BANGS consumers understand how their purchase affects long-term, sustainable development and, most importantly, why sustainable development is imperative for future change. Hannah's lecture details the inspiration and conceptualization of the BANGS brand, obstacles she ha s faced in the past and obstacles sheforesee s in the future. As a young social entrepreneur, Hannah offers the narrative of the experience between graduating from college to running a successful start-up and how individuals do hold the power to make a positive difference. Michael Duoba helped found and is now the senior engineer at Argonne National Laboratory's Advanced Powertrain Research Facility (APRF). The APRF uses novel instrumentation and state-of-the-art dynamometer test equipment to test and analyze advanced propulsion systems including hybrid electric vehicles (HEVs), plug-in hybrid electric vehicles (PHEVs) and battery electric vehicles (BEVs). Mike is a member of the SAE Hybrid Standardization Committee and chaired the task force that revised �SAE J1711 Recommended Practice for Measuring the Exhaust Emissions and Fuel Economy of Hybrid-Electric Vehicles Including Plug-in Hybrids.� Mike was also a co-chair of on the task force developing new BEV test procedures. For 20 years, Mike has authored papers on testing and analysis of advanced vehicle propulsion technologies. Mike has helped organize many SAE (Society of Automotive Engineers) technical sessions on HEVs. Mike received a Master of Science in Mechanical Engineering from University of Wisconsin-Madison in 1993. Argonne National Laboratory, the US Department of Energy�s first national laboratory established in 1946 to carry out Enrico Fermi's work on nuclear reactors as part of the Manhattan Project, is now a multi-disciplinary laboratory located just outside of Chicago, covering many areas of basic science and energy research. "In democratic countries," Alexis deToqueville once observed, "knowledge of how to combine is the mother of all other forms of knowledge; on its progress depends that of all the others." Broderick Bagert is an organizer, the profession dedicated to understanding and teaching that "knowledge of how to combine." Broderick grew up in a political family in New Orleans, which taught him that getting elected to office is not the most effective way to bring about change. While flirting with a career as an "engaged academic," Broderick failed at his first big fight in public life. He decided to become an organizer because he wanted to learn how to win instead of lose. Broderick works with religious congregations, schools, civic associations and non-profits to help them "combine" into big, powerful organizations, that can get things done at a local, city or statewide level. Since 2003, Broderick has worked with the Industrial Areas Foundation, the nation's largest and longest-standing organizing network. Broderick started off his career in Houston, returned to his hometown in the aftermath of Hurricane Katrina and in 2009 became the founding lead organizer of Together Baton Rouge in Louisiana's capitol city. Broderick has organized successful campaigns around public transportation, public education, food access, tax policy, housing, access to healthcare, flooding, immigration, criminal justice and dozens of neighborhood issues. In 2008, Broderick helped found Morris Jeff Community School, a community-driven public charter school in New Orleans. The school is the most racially and economically diverse public school in the history of New Orleans, the first International Baccalaureate elementary school in the state and the first charter school with a teacher's union in Louisiana's history. Broderick is a graduate of Boston College and has Masters Degrees from Oxford University and the London School of Economics. Christina Sass has extensive experience cultivating cross-sector partnerships designed to confront global challenges, particularly in education. She began building youth programs in her home state of Georgia and has since started schools and other youth programs in the US, China, The Middle East and Africa. During her three years as Deputy Director of the Program Department at The Clinton Global Initiative, she worked closely with President Clinton and his office to design and implement the content for CGI meetings with a particular focus on empowerment of girls and women. She currently advises the President and CEO of The MasterCard Foundation on fostering collaboration between partners of the foundation working in Sub-Saharan Africa. The MasterCard Foundation is a global, private foundation based in Toronto, Canada with over $9 billion in assets working to advance microfinance and youth learning in developing countries.Christina has a Bachelor�s degree in Philosophy from the University of Georgia and a Master's degree in International Law and Diplomacy from The Fletcher School at Tufts University. 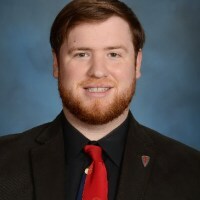 Joshua P. Norris co-founded the social networking app called Rubeyes with his father, Paul V. Norris, while studied biology, economics, and studio art at the Honors College at the University of South Carolina. Joshua graduated this past December and committed full time to Rubeyes. The creative head in the team, it was his imagination that grew simple, disparate ideas into a complex and cohesive whole. He created most of the features, fleshed them out to interact well with each other, and designed the interface, drawing each screen by hand. He is also responsible for public image, branding, and directing future growth and development. In his spare time, Joshua is an avid martial artist, having studied several arts and holding a black belt in aikido. He also enjoys dancing, travelling, and spending time on the water.